Too much assessment in schools today is done to students instead of with students. Even when the assessment reveals more than a score, the student or teacher does not have much say in the process. That said, within the context of the classroom, teachers still have considerable authority over how they can guide their students to improve daily. For example, through thoughtful language choices that are focused on a growth mindset, students can develop agency—the belief that things such as our intelligence and life's outcomes are changeable (Johnston, 2012). These teacher-student conversations bring students to focus on what they are doing instead of just how they are doing. In such a context, numbers and grades no longer direct these discussions. In this chapter, we explore how digital portfolios can help students and teachers make this shift toward a partnership approach to assessment. A working definition, along with types and examples of digital portfolios, is offered to build a common understanding. We also look at the history of portfolio assessment in education, including why it seemed to disappear—along with reasons for its resurgence. The chapter ends with a framework for thinking about digital portfolio assessment through the lens of good pedagogy. Though technology is here to stay and has brought a lot of good into our world, the tenets of strong instruction are timeless. Using technology to aid teaching and learning is not a new concept. Interactive whiteboards, the Internet, and wireless access are commonplace in schools. Recent technology, such as learning management systems like Edmodo and Schoology, has provided teachers with the ability to facilitate some classroom activities online. What is new is how technology can and should be leveraged to transform teaching and learning—instead of just enhancing it. This requires a shift in practice. Both teachers and students can improve in their work with the inclusion of digital tools when they are thoughtfully integrated with instruction. Digital portfolio assessment is one such approach that could build a learning partnership. David Niguidula (2010) coined the term digital student portfolios, defined as "a multimedia collection of student work that provides evidence of a student's skills and knowledge" (p. 154). I've expanded on this definition and consider digital student portfolios to be dynamic, digital collections of information from many sources, in many forms, and with many purposes that better represent a student's understanding and learning experiences. How we define digital student portfolios, though, is secondary to how we use the related technology in the classroom. Strong instruction with technology embedded as a necessary resource is preferable. For example, implementing a 1:1 program (i.e., one digital device per student) without any type of forethought, research, or planning does not lead to significant learning outcomes. In fact, such an approach could exacerbate achievement gaps for at-risk students who are not familiar with the technology (Toyoma, 2015). The change we want to see in schools—and that we hope technology will help facilitate—requires more than just a financial investment. Performance portfolios are collections of a student's best work, with the student taking the lead in the selection of the work and providing an explanation as to why they should be included. Process portfolios contain several versions of a selected work. Such a portfolio might hold early drafts of a paper or poem to show how the piece developed over time. Progress portfolios are often managed by teachers. They hold collections of work intended to illustrate children's development over time. Bear in mind that regarding the different types of student portfolios, "few pure examples of any of these types exist" (Allington & Cunningham, 2006, p. 179). The vignette that follows is a good example. A teacher and a student celebrate a piece of published writing (a performance), yet it also serves as a point of instruction (progress). This combination of a showcase portfolio that is student driven and a benchmark portfolio that is teacher directed can be referred to as a "collaborative portfolio" (Jenkins, 1996). In my experience, I have found it helpful when getting started with digital portfolios to categorize them based on purpose. We can refer to the three types of portfolios in terms of "best work" or "growth." Students, families, and colleagues typically understand this terminology better. Best-work portfolios are student driven and include collections of students' best work. Growth portfolios are teacher directed and represent students' development over time. Regardless of the type of portfolio, opportunities for documenting and sharing student learning can happen at any time. Teachers need to take advantage of these situations and worry about how to categorize them later, if at all. To provide some context for digital portfolios, the following passage describes a small moment in which a teacher (Janice) is conferencing with a student (Calleigh). Janice video-recorded her writing conference using an application called FreshGrade. This conference was eventually shared with Calleigh's family through the application. Each piece selected by Calleigh throughout the school year is also saved within FreshGrade to show growth over time. Previously, Janice had provided instruction through minilessons on writing strategies. She was already aware of her students' writing abilities through a fall schoolwide writing assessment. The results of that assessment were quantitative (i.e., numerical) and based on one rubric. However, Janice's success in the writing conference was measured through Calleigh's ability to monitor her own growth in writing and take more responsibility for the results. Calleigh, a 2nd grader, sits down with her teacher, Janice Heyroth, to prepare for an assessment. This is a regularly scheduled conference during the middle of the school year; Janice meets with each student six times a year to reflect on a piece of writing in their digital portfolios. At the beginning of the year, students completed a reading and writing survey, which was uploaded and shared with students' families via FreshGrade. The information gleaned from that survey gave Janice information about each student's dispositions toward reading and writing. Questions such as "What types of books does your child enjoy reading on this/her own?" and "Does your child enjoy writing? Why or why not?" gave insights into how students approached literacy in their lives. It also informed her future instruction, such as generating writing ideas and topics students could choose to explore if they needed more support. Elbows on the table, Calleigh props her head on her hands as her teacher spreads out some of her own writing. Because it is the middle of the school year, Calleigh's folder already contains multiple compositions. Janice encourages Calleigh to locate a recently published piece she is proud of. She selects one, and then Janice starts off their assessment with a question: "So, what are some things you are doing well?" Calleigh doesn't hesitate. She states, "Handwriting." Calleigh pulls an older piece of writing from her folder and compares it with a more recent entry to show the difference. Janice listens and smiles while she writes down Calleigh's response in her conferring notebook. Janice prompts, "What else?" and then silently waits and allows Calleigh the time she needs to look back at her writing and find other points to highlight. After a few seconds, she responds, "I don't know." Janice acknowledges Calleigh's honesty and follows up with more specific language. She says, "Well, I have noticed a lot of areas where I think you're doing well in your writing. First, you stayed organized with your writing. Did you notice that?" Janice then says, "Do you know what I mean by staying organized in your writing?" Calleigh hesitates and then smiles as she responds, "No." "Okay … did you stay on topic?" "What is your topic about?" "Right. It's all about going to Florida. Did you tell me about what you did first and go all the way through to the end?" The conversation continues, and while this assessment is taking place, the rest of the students in the classroom are busy independently reading and writing, working on self-guided vocabulary activities, or using computers to listen to narrated digital stories. At one point in the assessment, Janice starts to make a suggestion ("Would it have made sense … "), stops herself, and then restarts her inquiry: "Why did you start your real narrative in this way?" Calleigh shares that she started her story by describing an important scene during her visit to Florida. This is a strategy for developing a lead that she learned during whole-group writing instruction. Janice makes sure to note this connection between teaching and learning in her notebook. Janice pauses and then responds, "Actually, your spacing is fine. The same with your spelling and handwriting—everything looks great. Let's take a look at your ending, though. 'Our trip to Florida was fun and exciting.' How could you have spiced things up and made your ending more memorable?" To understand how digital portfolio assessment can inform teaching and learning, let's unpack the conference scenario between Janice and Calleigh. Relationships are the cornerstone of all teaching and learning. Consider the initial interaction between Janice and her students. When Calleigh stated "I don't know" to Janice, she was being honest. She was willing to reveal her lack of knowledge about what good writing might resemble. Janice responded professionally, instead of "What do you mean you don't know? We covered this yesterday." She saw this admission as an opportunity for celebration and for instruction. Janice pointed out Calleigh's strengths in organization and how her conventions and presentation made her writing more readable. This opened the door for feedback and growth, especially when they started talking about her ending. It is hard to learn from someone whom we do not respect or particularly care for. Learners must have trust in their teachers. Making mistakes puts us in a vulnerable position, and when we're forced to admit that we don't know something, we open ourselves up to potential criticism. This can be good situation if a high level of trust and a positive relationship have been developed between student and teacher. Students need to see their teachers as credible and reliable to be able to accept feedback about their performance. Janice understood this. She maintained her relationship with Calleigh as a way to help her student grow as a writer. This trust was developed through genuine celebration and thoughtful interaction. In addition, it allowed Janice to document this assessment through a digital portfolio tool. As the writing conference transitioned from celebration to observation and feedback, Janice caught herself about to make a suggestion. This would not have been the end of the world, but it also would not have given Calleigh enough credit for her potential. By rephrasing her suggestion into a question, Janice allowed for Calleigh to take more ownership of her writing. Asking a question that begins, "Would it have made sense … " is leading and teacher directed. Unfortunately, this is much too typical in classrooms today. The alternative approach ("Why did you start your narrative … ") casts the student in the position of expert and requires them to justify their decisions. Calleigh was asked to support her own writing decisions, which were the result of strategies previously taught in the classroom. Calleigh was the lead assessor in this situation, and Janice was acting as a coach looking to build independence with her student. Bringing an authentic audience into this conference heightened the importance of Calleigh's work. Near the end of the writing conference, it became clear to Janice that Calleigh lacked the knowledge to develop informed writing goals for the next time they met. At that point, she recognized the need to be more prescriptive in her feedback. Her suggestion was brief and built on prior knowledge (using leads to build endings), yet she didn't spend a lot of time on it. Using this gap in knowledge as information to drive her instruction, Janice began to plan a future minilesson (or two) on endings. Chances are high that if Calleigh, who happened to be one of the stronger 2nd grade writers, needed more instruction in this area, then so did her classmates. It's hard for students to meet expectations in any discipline if the criteria for success are unclear. Assessment is effective when teachers can provide instruction during the process of learning. The function of the conference was for Calleigh to identify her best writing within the context of current work and the standards of excellence conveyed by Janice. Their conversation was about celebrating success and moving forward as a writer. Calleigh was therefore positioned to consider improvement instead of simply being evaluated. With this in mind, assessments should focus on teachers and students working together with a clear set of criteria to get better. How better to capture this work than through technology? The video recording of their conference for Calleigh's digital portfolio served as an artifact of reflection, self-assessment, and goal setting. Both the video reflection and image of her writing were combined within FreshGrade and shared with her parents. They were able to watch the conference and read Calleigh's writing on their smartphone, tablet, or computer. In addition, they could leave a simple, supportive comment on the digital artifact, or even go deeper and emulate Janice's language by offering specific feedback and asking thoughtful questions. Just as important, Janice later watched the footage and evaluated her own practice within FreshGrade. While Calleigh's parents could appreciate her growth by comparing her submitted work online, Janice could critique her own interactions with her student and assess whether her feedback moved Calleigh forward as a learner. Janice saw this footage as essential data to inform her instruction—information just as valuable as any rubric or test might offer. In using digital portfolios in this way, the teacher becomes the learner as much as the student. The following vignettes offer more examples of digital portfolios in the context of the classroom. Consider these three scenarios and how they might apply to your grade level and/or discipline. Scenario #1: Barry, a high school English teacher, finds his students' writing lacking in both skill and voice. He therefore makes the decision to use Google Drive for his students' writing projects throughout the school year. The classroom has access to one cart of Chromebooks. Because of the one-device-per-student ratio in his classroom, every learner has access to his or her digital writing and projects within this web-based software and storage system. Students are taught how to create folders within Google Drive for different writing projects (created with both Google Docs and Slides). At specific times during the school year, students are expected to select a piece of writing that represents their best work and post it to their performance portfolio, hosted on a Google Site. Every student is expected not only to select and publish a piece of writing but also to offer feedback for classmates. In addition, Barry has connected with another classroom in a different state to expand the number of opportunities for his students to communicate with a meaningful audience. The clarity provided by the teacher on how to use Google Drive to organize the process of writing, along with an authentic audience that could facilitate feedback in an online environment, offered relevance and motivation for students to increase their voice and better apply their skills. Scenario #2: Lori, a middle school math teacher, is not seeing her students transfer their learning to new situations. They are respectful and attentive during class, but when presented with a similar yet novel problem, the students struggle to apply their knowledge and skills. For students to become more self-aware of how these practices help them in mathematics, Lori decides to have her classes reflect daily about their learning. She signs up for a Kidblog account. Students have their own blogs to write about how they used one or more of the mathematical practices during the lesson. Lori teaches her students how to categorize and tag their posts based on the topic of study and mathematic practices. This math journaling happens at the end of the lesson and serves multiple purposes: to give students the opportunity to reflect on their math work through writing, to reveal their understanding of the day's lesson for Lori to read, and to provide a window for parents who want to better understand how their children are doing in school. As homework, instead of a worksheet, students are often expected to respond to at least two classmates' posts in the comments. This type of work seems more authentic, and it promotes the idea of a community of learners rather than kids competing with one another in learning. Scenario #3: Cathy, an elementary school teacher, finds her reading conference notebook cumbersome. She wants to be smarter about documenting students' reading goals and taking notes as she talks one on one with students during independent reading time. Cathy learns about CCPensieve, an online conferring notebook application that is connected to the Daily 5 literacy workshop model (Boushey & Moser, 2014). Within this web-based software, teachers can quickly move from student to student and find personalized assessment data that show their growth as readers. Using CCPensieve as a progress portfolio, there's no need to leaf though a thick binder full of papers to find reading goals, lists of books read, or strategy notes for the next student conference. Cathy can quickly see a snapshot of all of her students on the main page of her digital account. In addition, because the information is stored online, she can access this information from any computer or mobile device with an Internet connection. Another advantage is how CCPensieve allows others to be involved in the process. Students can use the information about their reading lives to gain a better understanding of their accomplishments and next steps. Parents are able to ascertain their child's learning progress because of how the qualitative data is organized and shared out via email. Other teachers can be invited to view and add to a student's progress portfolio. CCPensieve becomes an additional way for colleagues to communicate and collaborate without actually being in the same room. Cathy, her colleagues, and students' family members are all partners in students' journeys toward becoming lifelong readers. These three examples have much in common. First, each scenario identifies the specific access necessary for teachers and students to be successful. For example, when a 1:1 student-to-technology ratio is required, only then is it provided. Second, the purpose for the inclusion of technology is prompted by pedagogy. Whether it is the need to facilitate peer feedback, to include students in the process of goal setting and reflection, or to better communicate students' learning progress, the rationale for the inclusion of digital tools is steeped in learning. Third, students' learning becomes visible outside the classroom. In all three examples, families and peers are brought in to the learning process. Because of this audience, the work automatically becomes more authentic and meaningful. These common elements serve to frame technology integration for educators, shared later in this chapter. The previous example of digital portfolios in action (Janice and Calleigh) is a powerful portrait of what's possible with digital portfolio assessment in the classroom. To understand this process, it is helpful to understand the concept of assessment as well as the origins of portfolios in education. Assessment is the form, not the function. Teachers assess student learning to discover if their understanding of a concept or ability to demonstrate a skill is at a proficient level, and if not, then to respond accordingly. To understand how portfolio assessment has evolved to the present day, it is helpful to understand assessment in general and how portfolios have attempted to capture the qualitative information in the classroom that can better represent the whole child. Assessment can be defined as the process and tools used to reveal information about a learner's progress and achievement. As teachers, we assign certain values to levels of development that a student most likely has attained as a reader, writer, and thinker. The more information we can glean regarding a student's ability, the better and broader a picture we have to make instructional and curricular decisions. Of course, too much information might result in data overload. A certain limit must be determined so we remain focused on teaching and learning rather than on gathering and organizing. A good analogy is a visit to the doctor's office. Your doctor will take your blood pressure, listen to your heart, check your ears and eyes, and so on. However, he or she is not going to take a blood sample if the initial assessments don't warrant it. There are many correlations between the two situations. Age, expected cognitive development, experience, and other outside factors (e.g., background knowledge, parental support) also come into play as we build an understanding of our students' strengths, needs, and interests. The concept of assessment is often divided into two types: formative and summative. The simplest comparison between formative and summative assessment is that formative is assessment for learning and summative is assessment of learning (Black & Wiliam, 1998). If you break down these words etymologically, inform is related to formative. This information would therefore inform our instruction. An example might be exit cards/tickets, where students respond to a question to check for understanding at the end of the lesson. Their work isn't graded. Exit cards/tickets are used to simply inform the teacher's instruction for the future. By contrast, summary is closely related to summative, which would imply that data from this type of assessment are collected after the learning has occurred. Your typical unit tests and performance tasks would fall into this category. Figure 1.2 expands on this comparison. Source: From So What Do They Really Know? Assessment That Informs Teaching and Learning, by C. Tovani, 2010, Portsmouth, NH: Stenhouse. Copyright 2010 by Stenhouse. Reprinted with permission. Cris Tovani accompanies this comparison with a helpful analogy (2010). When she speaks with teachers, she often compares formative and summative assessments with athletics. Practice time is an opportunity for coaches to provide explicit feedback based on current performance. At game time, however, very little feedback is given except for the final score. Much more time is devoted to practice, where the goal is to improve. The summative assessments (game time) are more infrequent opportunities to "show me what you know." These two types of assessments clearly work in concert within the arena of athletics. Yet this connection is often lacking in the classroom. If formative assessments are there to guide instruction for learning, then both student and teacher need to know the learning target(s) they must hit (Moss & Brookhart, 2012). To know the target, a clear understanding of the standard of excellence needs to be developed and conveyed. If the district and state (summative) assessments are aligned with these standards, then the target should hopefully be clear. And with that destination in mind, formative assessments can provide a pathway for learners to achieve strong growth and eventually mastery. Portfolios have long been used to document student learning. Portfolios came into prominence during the 1980s and 90s as an authentic assessment tool for writing workshop. This approach was spearheaded by educators such as Donald Graves and Sheila Valencia (Jenkins, 1996). These innovators in literacy instruction believed that reading and writing were too complex to be evaluated through letter grades or single scores. With that in mind, an authentic approach to portfolio assessment sought to "minimize the distance between instruction and assessment" (Valencia & Place, 1994, p. 154). Portfolios in the context of literacy can be a better approach to assessment, as reading and writing rely on qualitative results to gauge growth and achievement. Around the same time, education was also exploring the use of portfolio assessment for groups of students with specific needs. For example, Moya and O'Malley (1994) reported on some of the benefits of using portfolios for English language learners, including a greater ability to focus on the process of learning (instead of only on outcomes) and the ability to tailor assessment to the needs of each student. In addition, with the emergence of new learning theories, such as multiple intelligences, educators and researchers saw a new pathway for leveraging portfolio assessment to capture, reflect upon, and share student learning artifacts. Educational researchers such as Evangeline Stefanakis (2002) advocated for the use of portfolio assessment to document students' intelligence beyond the core disciplines. Students who demonstrated strength in physical education and music, for instance, were offered new opportunities to convey their understandings through a more authentic approach to assessment. As an example, students could use a video recording from a choir concert to show proficiency in their musical abilities. An assessment such as this, facilitated through technology, is better aligned with the expectations for the discipline. Given these benefits, it still is not surprising that portfolio assessment has fallen out of favor in schools. This more authentic approach to assessment also demands more time and attention; reflection, self-assessment, and goal setting are critical components of the process. With large class sizes, less support, and more resources devoted to standardized assessments, limitations are placed on educators who might want to facilitate portfolio assessment. As veteran literacy educator and author Regie Routman notes, "I remember decades ago when portfolio assessment was all the rage. Then it died a slow death because it was overwhelming for teachers to implement with their students, not to mention all the time it took" (personal communication). Another challenge is the qualitative nature of this approach. For example, student writing is more difficult to assign a grade or score to than, say, a solution to a math problem. The draw of an easier-to-implement assessment system that relied mainly on numbers and symbols gave way instead. With recent advances in technology, portfolio assessment has experienced a resurgence in popularity. 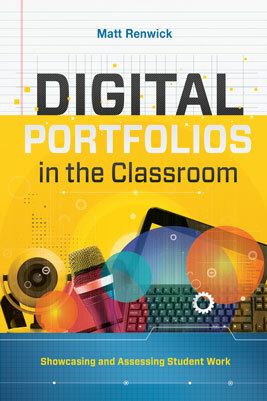 Many technology companies now offer digital portfolio tools to use in the classroom. The biggest reason is the capacity of technology to capture, house, and share artifacts of student learning online. The advent of the Internet, along with a bevy of affordable mobile devices, has caused educators to rethink student work as more than only a physical object or file. In using digital tools to capture student thinking and progress, students' learning journeys start to become alive. We can hear the confidence in their voice when giving a speech and see their enthusiasm when presenting on a research topic in school. In addition, technology has allowed students to become better involved in the assessment process itself. Tablets and laptops put in the hands of learners give them more opportunities to document, reflect upon, and publish their work. This access to share and assess growth and best work is more easily captured with digital portfolios. Finally, these tools inform families about their children's current understandings and future goals. How digital portfolios are integrated into the classroom is an important next step. Digital portfolios, these dynamic repositories of student learning artifacts, stand in contrast with the symbols that have typically represented learning in schools, including grades and test scores. Quantitative assessment results are static and unresponsive. They draw little attention to the overall learning process. Numbers and symbols are not without some worth. Grades on high school transcripts still act as prerequisites for acceptance to higher education. Test scores provide a snapshot of a school's general achievement levels. However, these assessments are instruments that can, at best, make rough estimates about a student's or school's achievement levels. Still, numbers and symbols are much easier to collect, organize, and analyze. Qualitative assessment results need processes and protocols so teachers and students can more systematically implement them in classrooms. In my previous work (Renwick, 2014, 2015), I offered a basic framework for assessing the effect that technology can have on student learning: access, purpose, and audience. Access is the availability for students to use connected tools, discover new knowledge, and tap into currently unavailable resources. Access can also take into account how technology modifies and accommodates content and tasks for students with specific needs. Purpose is defined as the reason for utilizing technology in the context of learning. It also should offer a rationale for the work in which students engage while at school and in their lives. Audience includes anyone who can view and celebrate students' learning, as well as provide feedback to promote thinking. The three tenets of necessary use of technology are described in Figure 1.3. It is nice to purchase one type of device for every learner, provide initial training, and allow staff and students to explore what's possible. It is necessary to assess infrastructure, school needs, and student needs as well as purchase specific tools and schedule ongoing training. It is nice to use trial-and-error with the technology and select a curriculum unit or lesson that allows for its use. It is necessary to design curriculum focused on essential knowledge and skills and apply technology within the learning progression. It is nice to house student work on the devices or in the cloud for easy retrieval. It is necessary to publish student work for those outside the classroom to view and give feedback and affirmation. Access, purpose, audience: within these three tenets of a digital integration framework, we are more likely to experience success in the classroom. Technology comes and goes. With a strong understanding of portfolio assessment in general, we can better align the digital tools to meet our students' true needs. Technology should support the learning, not the other way around. Think about your current learning environment for students, including the discipline(s) you teach, assessment practices used in your classroom, resources available, and schoolwide expectations. Considering your context, respond to the following questions to help you reflect on your current practice and what's possible for the future. What type of access do your students have to technology in your classroom? Specifically, what is the wireless situation? How many and what types of devices are available? What is your district's current policy on sharing student information in an online space? What needs should be addressed? Given your current teaching assignment, what entry point in your curriculum makes the most sense for integrating digital portfolios? That is, what would be the purpose of incorporating technology within your discipline? How will student learning benefit from this inclusion? If access is strong and a purpose has been identified, who will be the audience that will be celebrating and assessing students' work? Will family members be the main recipients for looking at and commenting on their learning? How might peers be involved in recognizing and offering feedback for what's posted and shared? John Spencer is a professor of educational technology within the School of Education at George Fox University in Portland, Oregon. Prior to that, he was a middle school social studies and digital journalism teacher in the Phoenix, Arizona area. His school had many Spanish speakers in a state that demanded all school work be read and completed in English. John is also the author of Launch: Using Design Thinking to Boost Creativity and Bring Out the Maker in Every Student (2016). Questions in each chapter's Learner Profile are adapted from The Action Research Guidebook: A Four-Stage Process for Educators and School Teams (Sagor, 2010, pp. 37–38). I started digital portfolios early on in my career. The purpose was to have a classroom assessment system that mirrored what professionals and artists (creative types) do in the real world. They do not take tests—they select their best work to showcase and explain why. Not aware of other resources available, my colleagues and I started with portfolios from scratch. Our first step was teaching students how to choose their learning artifacts during the school year and reflect upon them. This led to having the students start to document their growth over time, which then led to students self-selecting goals to work toward for the future. This is ideal summative work in the creative fields, where people make plans for the future based on what they have accomplished so far and where they want to grow. In what way(s) were the effects of implementing digital portfolios in school unique or unusual? There were positive effects about using a portfolio process with students. By celebrating their work once a quarter (when they put entries in their portfolios), they started to see themselves as learners—as creative people who can accomplish projects. There were changes in their self-concept, not necessarily in their confidence, but in becoming more reflective individuals. There was also an increase in metacognition because of the time given for students to reflect on their learning. When the growth piece was added, a lot of the power in portfolios came in having the students articulate what they learned and how. It was on their terms and facilitated by the teacher. This portfolio process led into goal setting, which was a phenomenal thing. Had I stayed in my position as a social studies teacher (instead of transitioning to an encore class), I would have scheduled this goal setting to happen weekly where it became a habit for the school. How would you describe the characteristics of the products from the digital portfolio work and of the educators who were involved? Working on a teaching team at the middle level, we could really see the students as learners. We got a great snapshot of each person; seeing their strengths and areas for growth were documented in multiple disciplines. When I started teaching digital journalism toward the end of my K–12 teaching career, the ability to collaborate with colleagues became more challenging. Career-based courses such as journalism lend themselves to a portfolio style of assessment. What they created, such as news reports and reviews, was already online and selected because of its quality. Writing in multiple genres happens naturally. The work is relevant. When schools and teachers select units of study focused on a genre, such as persuasive and expository writing, the learning can become more about completing the assignments than about creating an actual product for an authentic audience. While we didn't receive any training on how to implement portfolios when our school went to standards-based grading, portfolios made a whole lot more sense. We were no longer assigning a number or a letter to student work. Instead, we looked at specific knowledge and skills in which students had to show proficiency and then built assessments and developed the curriculum around them. Both standard-based grading and portfolio assessment do a better job of showing a student's learning journey over time. What resources were used to support the use of digital portfolios? Going digital with student portfolios demanded technological resources. The biggest benefits were improved communication with families and bringing in a more authentic audience. Our team used Weebly for students to showcase their learning online. My wife went to school with one of the developers of Weebly. When she shared this new tool with me, I thought, "Hey, our kids could use this for their digital portfolios." We had been using Dreamweaver, which required students to actually build the website in addition to posting their work. Through Weebly, our students could focus on the learning. One of the outcomes of using online portfolios is the positive digital footprint they create though the process. If the portfolios do not stay with them after graduating, they aren't as real. What specific outcomes do you attribute to the use of digital portfolios? The positive outcomes of a portfolio assessment culture are not reserved just for students. Professionalism was also increased when we, as teachers, collaborated on this initiative. I would not have worked as closely with my colleagues on my team if portfolio assessment were not a part of our work. The support from our administrators, such as providing time to discuss student learning and develop authentic assessments, was necessary to allow this to happen. This is in addition to the district's decision to use a more student-friendly reporting system (i.e., standards-based grading). Another factor that led to students becoming more mindful and reflective about their learning included a school culture in which teacher leadership was honored and encouraged. What problems did you encounter when developing or introducing digital portfolios? Portfolio assessment does not come without its issues. Any significant change in how school looks and works for students will have bumps in the road. For us, most of the problems stemmed from the technology itself. Having students upload their multimedia creations, such as videos and images, proved to be challenging for all of us. Bandwidth strength and different types of files affected this process. Also, we as teachers had to make sure we were compliant with FERPA (Family Educational Rights and Privacy Act) and COPPA (Children's Online Privacy Protection Act) guidelines regarding student privacy and information. Providing universal access to all students regarding technology can also prove to be a roadblock. This access includes language barriers, as a number of our students and their families spoke Spanish as their primary language. Ensuring that student learning was communicated was not an easy process. What else do you think a teacher or school should know before implementing digital portfolios? First, choose the digital portfolio platform wisely. It makes a big difference as to how easy it is for students to upload their work, reflect on it, and set goals for the future. Second, show students how to curate digital portfolios. Don't assume they know how because they are familiar with digital tools. Make exemplars or find strong examples of what student portfolios can and should look like. Teach portfolio assessment like you would teach any other complex task. Third, do your homework on student privacy laws. Find out what the district policy states about digital portfolio assessment, and make sure you have administrative support. Finally, if possible, facilitate portfolio assessment with a team of teachers—or the entire school. Hold one another accountable to do this type of work, which does not come naturally for those who are used to a more traditional approach to education. You learn a lot more about your students when everyone is contributing to their learning journey—the student included!